Dr. Morris has established an excellent periodontal program that has helped many patients avoid tooth loss and maintain healthier bone levels. She offers gentle, comprehensive nonsurgical gum care and a soft-tissue program that has helped restore many smiles over the years. You are not alone. Millions of Americans have gum disease: gingivitis or periodontitis. Bacterial infections develop when food, bacteria, and tartar are left on the teeth. In the beginning, an infection can develop along the gum line. The bacteria form a community called a biofilm that grows down into the space or pocket that develops between the teeth and gum tissue. The biofilm is protected by a slimy covering produced by the bacteria in the community. As the aerobic bacteria in the biofilm consume the oxygen in the pocket, the microbiological environment of the pocket is more suitable for dangerous anaerobic (no oxygen) bacteria. 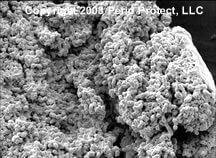 Biofilms grow rapidly and need to be managed every day. Brushing, flossing, and regularly scheduled professional cleanings are recommended. 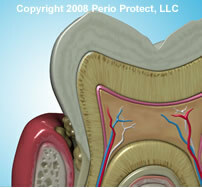 But if a biofilm takes root and is left unchecked, biofilms can damage the gums, teeth, and bone. Untreated biofilms may even damage your health. The three main strategies for the control of biofilms include placing time-released antimicrobial medication below the gum line, placing oxidative agents below the gum line, and physically scraping the biofilm from the teeth and root surfaces.